As there are many online large online bookmakers operating worldwide, most of them surely ignore the US market. Numerous companies decide to restrict players from the States to play on their platforms. However, there are surely exceptions, and one of them is 5Dimes. In fact, this well-established enterprise runs a policy to restrict the UK and French player in opposition to many other competitors. This sports betting giant from the gambling industry is found in 1996 and goes online in 1998. Since then it’s one of the biggest online betting providers in the territory of the USA. This traditional bookmaker is offering a great time and exciting opportunities for both amateurs and professional players. 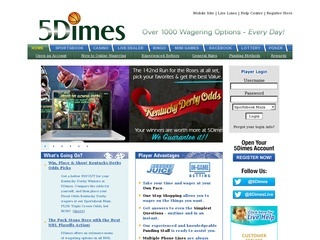 5Dimes is owned by 5Dimes Casino and Sportsbook and has its license issued under the jurisdiction of Costa Rica. The online platform supported by the bookie is not that visually attractive, but it surely compensates with increased usability and great functionality. The interface is simple and very easy to navigate, which should be the true purpose of any sportsbook website. Apart of this, 5Dimes is known to be financially stable and reputable company with a huge experience in the branch. The bookie is also standing for honesty and fairness, which is another indication to be a reliable betting choice for many. As one of the biggest names in the USA, 5Dimes offers a sportsbook with great focus on famous sports in the country. There is total of 16 sports betting opportunities available within more than 50 leagues. There are more than 1 000 bet options every single day, and tennis is especially favored according to many currently active gamblers. Apart from betting on the online platform, 5Dimes offers to wager by phone as well. Live betting feature is offered for special events, such as Super Bowl, but live streaming is not part of the service at this time. 5Dimes’ platform is widely accessible by smartphone, tablet or PC and supports effectively almost every device. In addition to the rich sports betting choices, 5Dimes entertains its customers with the most popular and entertaining casino and poker games, as well as many other small games for the curious. The company organizes great casino tournaments with fantastic jackpots. 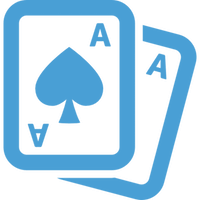 An excellent downloadable application called, “The Grand Casino” is available for both desktop and mobile users eases casino players even further. 5Dimes provides a great set of odds for their sports offering in both UK and US format. In an even match, the odds are 1.91 – 1.91 up to 1.95 – 1.95. An overall betting margin of 4.3% and an average payout of 95.2% are calculated for this experienced online bookmaker. In addition to the Straight bets, there are also Parlay and Teaser. Wagers can be placed with a minimum of $1 and a maximum of $5 000 for the major sports. However, phone bets have a different lower boundary, $50 and $25 respectively for Straight bets or Teasers and Parlays. It’s surprising that this bookie does not force limits on winnings. The football betting odds are also quite attractive for pros and offer an excellent chance for any fan of this sports. Of course, there are various options on football wagers. Players are free to place their money on Spread, Money Line, Half Time, Totals, Team Totals and Quarter. Complicated bets are also available. 5Dimes uses SSL encryption on its web platform. However, the type of encryption and certificate is not specified. According to various sources, the level of protection and security is high, so client’s accounts and sensitive data is safe. The software employed by 5Dimes is provided by ASI. The customer care services are well trained and highly responsive, especially when it comes to account issues. 5Dimes support can be contacted by phone, email and via the live chat system. The representatives are polite and very helpful, but they can be contacted between 9:00 AM and 11:00 PM (GTM-5). This US online bookmaker is one of the few large companies worldwide, which accept Bitcoins as a deposit currency. Both deposits and withdrawals are allowed with the virtual currency. The bookie uses the most popular currencies which you can see in the table. Deposits are usually instant and free of charge. Most options for funding an account are limited and the most popular one, Visa, has an upper boundary of $500. On the other hand, almost every withdraws a charged fee. There is only one free withdrawal per month, which should be strictly issued on Monday between 9 AM and 1 PM EST. Withdraw fees may vary and mainly depend on the requested payment method. However, money orders and cheques are quite expensive, and the charges there can go from $80 up to $120 per request. All the methods for deposits or withdrawals you can find in the table. 5Dimes offer a nice welcoming bonus for their newcomers. The promotion type is Free Play and offers every new client an opportunity to earn up to $520 or 50% + 20%. But let’s see how exactly this great deal works. Players are free to deposit from $100 to $400 and receive 50% of their investment, but here is the sweet deal. 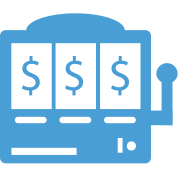 If gamblers decided to deposit additional funds up to $2000, they could obtain 20% of this new investment – a total of $520. A rollover of 10 times is required to unlock the full amount of this attractive bonus. The good thing is that there are no odds limitations, so unlocking the promotion isn’t hard at all. When it comes to bonuses and loyalty programs, 5Dimes continue to impress with their reload bonus, which is 20% of the investment up to $500 and rollover rule of 5 times the deposit. There is also a generous referral bonus of $200 for every new customer. VIP program is also available for the existing and loyal clients. 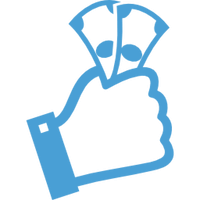 The bookie offers points system with amazing gifts for those who manage to collect enough.